When I started writing this post a couple of days ago, it was supposed to be a "please help me, models won't smooth" kind of thing, but as I started taking screenshots and such for a comprehensive view of the problem, the question morphed into a "is there a hack to get .lwo's to export the way .ase's do", then to "how to get the same surface smoothing from Blender as you can get from Lightwave" and eventually to "does anyone around know python and blender enough to fix the export plugin". But then I fixed the addon myself, so it was almost as if there's no point to the thread. However, while googling around for a solution I stumbled upon a whole bunch of incomplete (1,2) or outright wrong (1,2) information, and whenever the question came up the issue was never really resolved completely. That might be because the problem isn't obvious, since a lot of exported models will actually end up correctly smoothed on export, leading one to believe wrong shading in rare cases is due to modeling mistakes / bad shadowmesh / etc. Point is, having the definitive .lwo smoothing post seems useful. Here's the mesh. I add an 'edge split' modifier (I use sharp edges while modeling the low poly, so I can uncheck the 'edge angle' option). 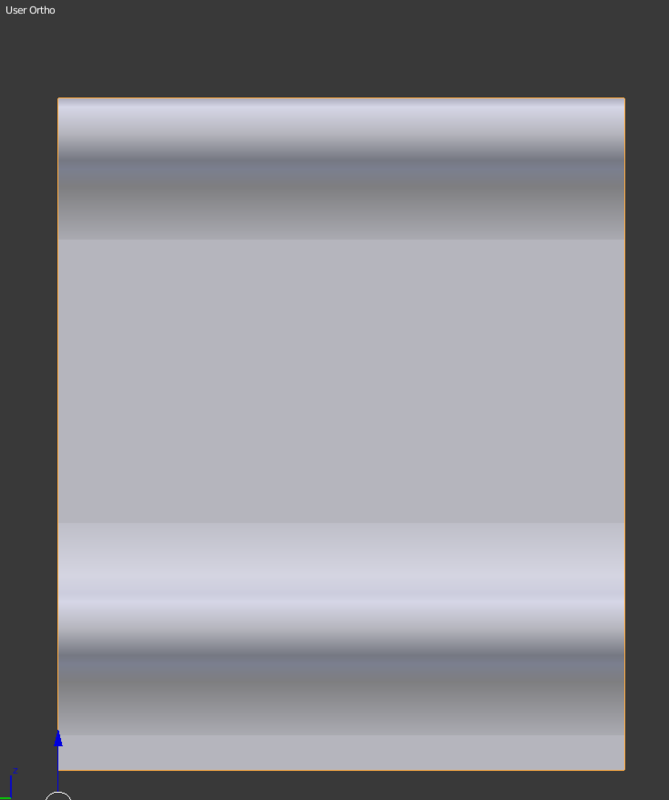 So the issue is trivial, I just have to find a way to somehow pass on a smoothing angle through the exporter. However, the "auto smooth" option on the object data tab doesn't seem to affect anything regardless of angle. So what it actually does is set your smoothing angle to either 90°, 86°(?? 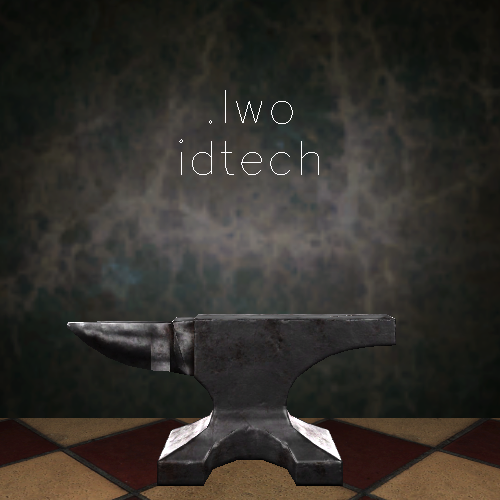 ), or 0°, depending on whether you've chosen "idtech compatible", "smoothed", or neither. Now, I don't know Python and I don't know Blender scripting, so I can't say with full certainty that I didn't break anything. But I did cobble together a version of the script that seems to do the job. Here it is, mirror / do whatever you want with it. I took the liberty of changing the default export options to what seems to suit TDM the best, you can just open the script in notepad and edit them to your taste. Wrapping up, there are still some mysteries I didn't solve, such as "idtech compatible" models taking up only half the size of models exported otherwise (including from Lightwave itself), there doesn't seem to be any visible difference in-game, at least in TDM. That "1.5 radian" in the code still makes me scratch my head. And I still don't know if the 4-8x size savings over .ase matter for in-game memory at all (but at least I know I won't have to edit the *BITMAPs manually anymore). Even after all this, the .ase still has just slightly better shading, but since the outputs of the exporter and Lightwave itself are now identical, seems safe to say it's as good as it gets. Edited by chedap, 12 May 2018 - 09:25 AM. Is this model properly unwrapped? It looks so. IMO the best solution would be to use one smoothing group for the final model, and using UV islands to define where you want to have hard edges, along with different smoothing groups but only for baking normals. This way you both save up on vertices (not sure why model DR model viewer also says I have less triangles) and benefit from better shading. 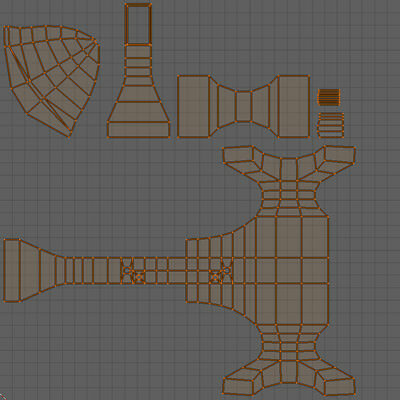 In general I try to use as few smoothing groups as I can, so normalmaps can do their work. Edited by Judith, 12 May 2018 - 07:55 AM. Is this model properly unwrapped? If I unwrapped the whole thing like you say, without any splits, the normal map would have to compensate for the entire mesh. Note how the flat surface now has some waviness. Didn't get the screenshot, but the holes look bad as well. Maybe I did some mistake along the way, but I think I understand the process enough to at least avoid the obvious ones. Also, I don't know how/if TDM creates mipmaps for .tga normalmaps, but there is another known problem with entire meshes using averaged normals: when compressed, the skewing will get exaggerated, so even with a perfect rendering process there are pitfalls. Edited by chedap, 12 May 2018 - 09:18 AM. Yeah, the first setup isn't perfect, but doesn't waste the texture space as much as the second one. Besides, it doesn't match SGs you set up on the model in the first post, if I see correctly? Btw. you can use uv mirroring for the same parts that aren't in view simultaneously. Anyway I'd go back to the first setup and use SGs on the low res model to define hard egdes for baking normals, that should have some effect too. Averaged normals is a problem regardless of engine, AFAIK. 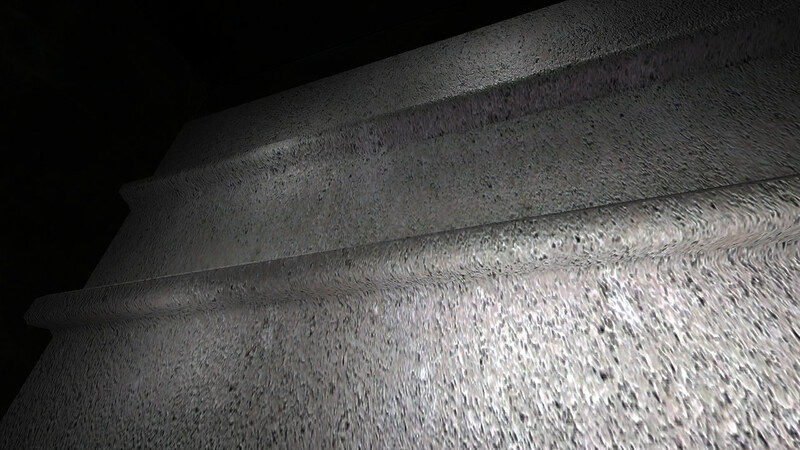 In 3dsmax I switch between using cage and averaged normals to see what looks best. Edited by Judith, 12 May 2018 - 10:32 AM. Apart from one extra uv seam along the horn, sharp edges match uv islands exactly. By SGs you mean max smoothgroups, right? Unless you bake with explicit normals, smoothgoups/hard edges don't affect baking, and it's a bad idea to bake with explicit normals anyway - in case of distortions it's always better to just subdivide the low-poly mesh (without smoothing) a bunch of times before baking. In max, you'd select the faces and press "tesselate" iirc. Try it, you probably won't tinker with the cage ever again. Yup, I use SGs for short If I'm not mistaken, you have hard edge on that round part of the base of the anvil in the first post, while UVs have that base stitched to the rest of the model (in the second set of UVs). In 3dsmax cage still has important uses, i.e. 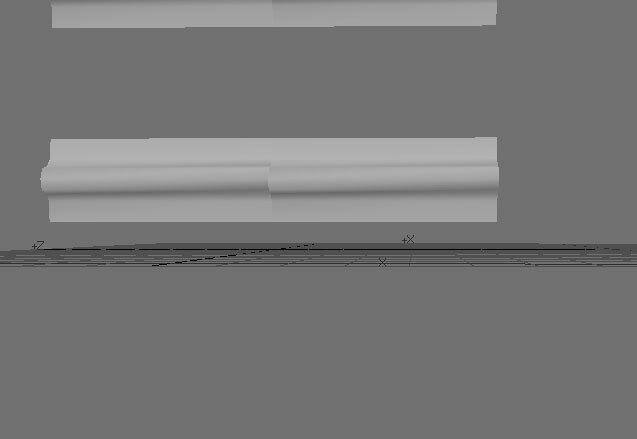 when hi-res mesh intersects the surface of your low-res mesh, averaged normals will often will give you errors. It's also useful for stuf like floaters, as averaged normals tend to skew them quite noticeably. I use low-res mesh subdivisions mostly when I encounter wavines, typical example being low-res cyliders. Edited by Judith, 12 May 2018 - 01:36 PM. Did anyone manage to get custom normals working in TDM? Hey, thats pretty sweet, man. Thanks! Will definitely be trying it out. 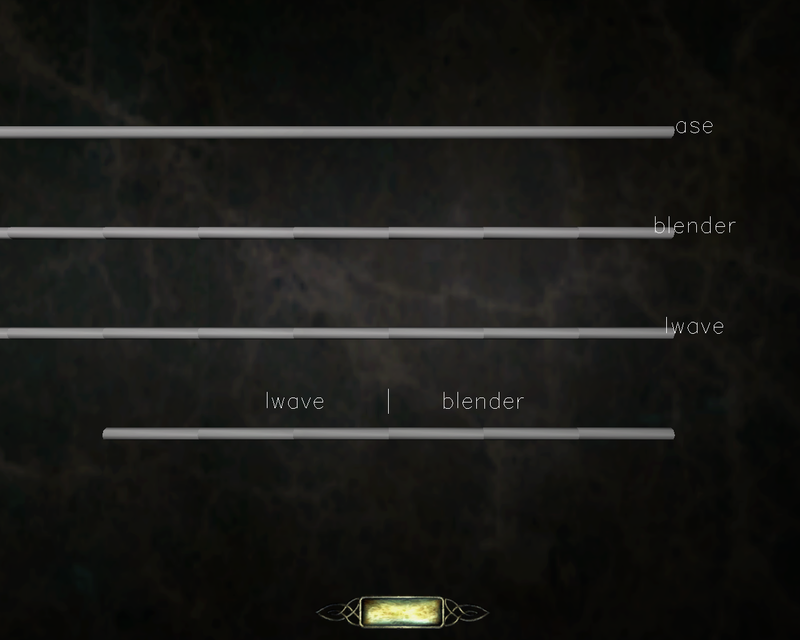 I was aware of the LWO smoothing issues and is great to know this has been worked on. Figured I'd post a useful batch script as well. This one is unrelated to Blender, but I don't know where to post it instead. It creates a generic material definition based on the name of a file you've selected, then moves the related textures from your current location to your FM folder. Download the .bat and put it anywhere on your PC. 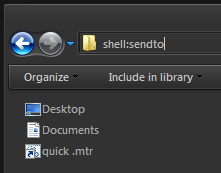 Type "shell:sendto" in the explorer address bar. Put a shortcut to the batch file you've downloaded here. 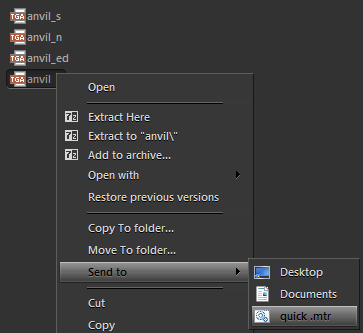 Now you can right-click any file, "send" it to the script, and if all goes well, your material is immediately ready to use. Caveats: made it for personal use, and the whole point is to save time, so it won't ask anything, you should change path vars beforehand (just right click > edit). It won't give warnings about overwriting an existing .mtr. It handles spaces in filenames and paths, but you probably should avoid them anyway. It will automatically add normal/specular stages if it finds _local.tga or _s.tga in the same folder. Working with just .tga's is (imo) easier while working, but you should convert them before shipping the FM. If you prefer to work with .dds/.jpg right away, you should edit that into the script. And don't forget to eventually change the surface type (wood by default). Well, that guide mentions same kind of non-deforming tesselation I meant. It is especially useful when dealing with skewed floaters. Per-vertex? 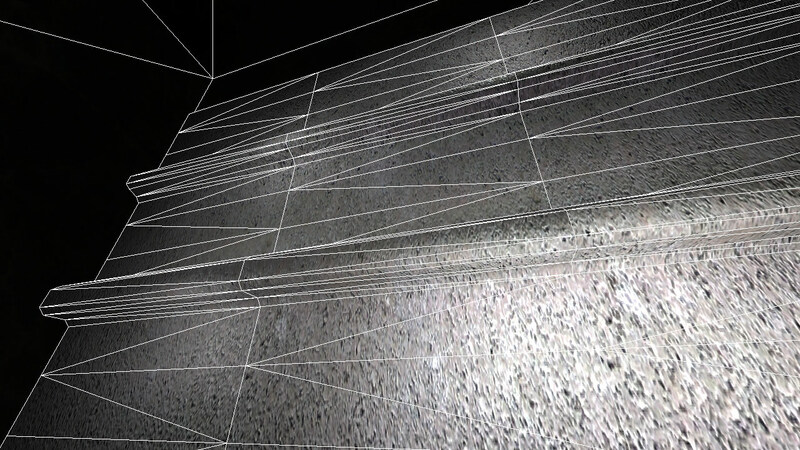 I don't think they show up in TDM, but they do get exported to .lwo as a "vertex normal map". I tried changing model normals with EditNormals stack in max, TDM doesn't seem to recognize them. But I guess could bake that and add it to a normalmap. I don't quite follow what's being said here, but when I want a face to have sharp edges, I select it and press Y to separate its vertices (which could be thought of as the opposite of remove doubles). When exporting the .lwo, I have the 'smoothed' box is checked, and 'remove doubles' and 'recalculate normals' are unchecked. Edited by R Soul, 17 May 2018 - 05:18 PM. Yes, you're effectively splitting the edges around. Before I tweaked the exporter, checking "smoothed" on export would result in 86° smoothing threshold on the rest of the surface (parts you haven't split). Which is fine for a lot of cases, but in edge cases like with the anvil, thats not enough: you'd want 180°, otherwise there will be unintended sharp edges. It's not just for edge cases though. Before, you had to split the edges manually, otherwise your only choice of autosmooth was 86° or 0° with nothing in-between. 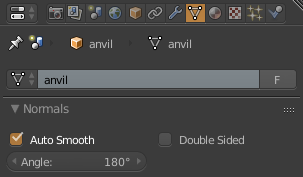 However, since the custom exporter will now respect your autosmooth angle, it's more wysiwyg: for simpler objects it might be enough to just set an appropriate angle inside Blender, with no manual splits needed. edit: I realized I assume some not-too-obvious blender knowledge on the part of the reader, so here's a quick rundown on smooth shading. Once you switch from default flat (faceted) shading, it'll attempt to smooth the whole mesh regardless of angles and hard edges. To make use of those you'll have to turn on autosmooth. 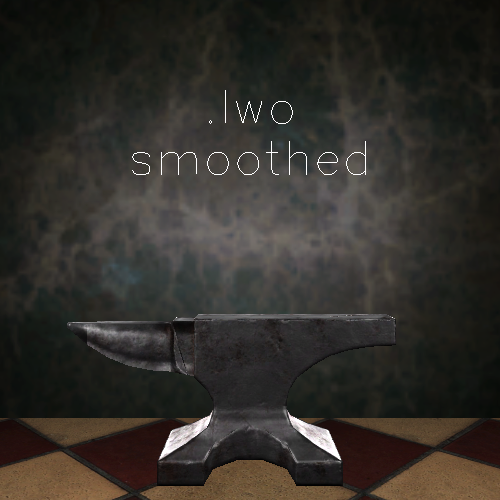 Now you can mark edges as sharp (ctrl+e) and they will display as such in blender. 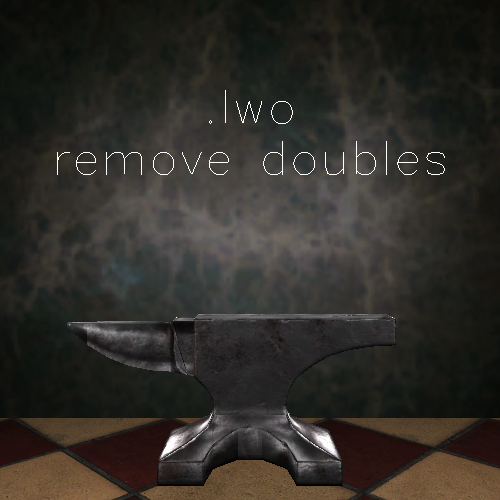 However, they will not transfer to TDM, so you'd need to split these hard edges before export ('edge split' modifier). Edited by chedap, 13 May 2018 - 02:46 PM. Thanks for the explanation. I think I'll make use of the autosmooth value now; it's better than having lots of manually split edges. Even after all this, the .ase still has just slightly better shading, but since the outputs of the exporter and Lightwave itself are now identical, seems safe to say it's as good as it gets. Hello, thank you for this updated script. On this point, in particular, is this what you mean? Right side is the .lwo, left is the .ase. I've overridden the materials to something more consistent than default textures for this model. It must be something to do with the edge or face normals, but I'm not knowledgeable enough to guess. It's a little irksome, but it's near invisible with real, detailed textures. Without seeing the geometry that's a bit too non-specific to get anything out of. What I meant is that if you open both images (1, 2) and switch between them, you'll notice that a thin triangle at the horn's base gets smoothed slightly better in .ase. It's a fairly extreme case though. Well I've run into a snag and need to report it. chedap, I know you just fixed up the existing script, but this is related to smoothnig, so perhaps you, or someone else who works with Blender can offer any ideas on what's causing this. I tried all combinations of export options, recalculating the normals (of course), even made a custom plane inside Blender (since this is a .lwo import) and that exported with the same problem, too. So, it's got to be something with the exporter... .ase, in the meantime, has even normals. Tried replicating: a/b, three spans are separate models. There's a bit of a step in shading at the bottom-right junction, and it isn't there with .ase (a/b). Seems to be related to triangulation, and is only visible under certain lighting. But it's definitely not nearly as severe as in your case. Your example isn't capped at both ends or anything, right? Can you post the mesh? Feel free to PM. Investigating the problem raised by Spooks has lead me down a rabbit hole, but I'm not coming back from it emptyhanded. So, the good news first: I've rewritten parts of Blender .ase exporter to expand its functionality and make it work better with TDM. • Vertex-per-face normals support. 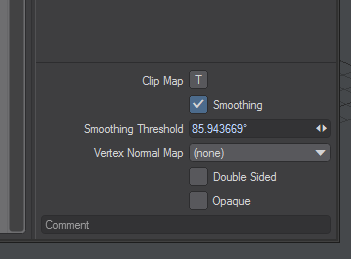 This means you don't have to split your sharp edges anymore, and makes custom vertex normals a viable workflow. • Material bitmap assignment is now based on the material's name instead of image filepath. This possibly breaks workflow with some other engines, but for us this means that as long as your material name in Blender matches a valid TDM material, you won't have to edit anything manually. Get R Soul's material manager to have the name match a valid material automatically. • File size decrease by about 20%, achieved by only storing unique vertex UVs. This doesn't affect anything visually, it's just a slight data rearrangement (20% compared to using the older Blender exporters, 3dsmax already exports .ase's this way). 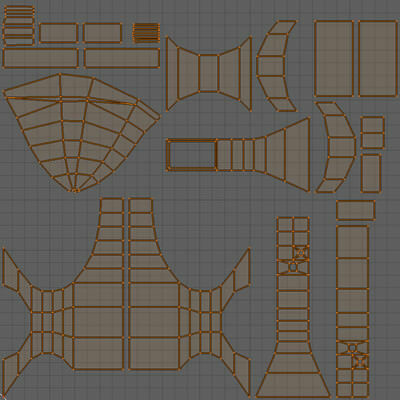 UVs for meshes with "collision_" and "shadow_" in their name are not stored. I've cleaned up file formatting to remove whitespace spam and generally be more max-like. 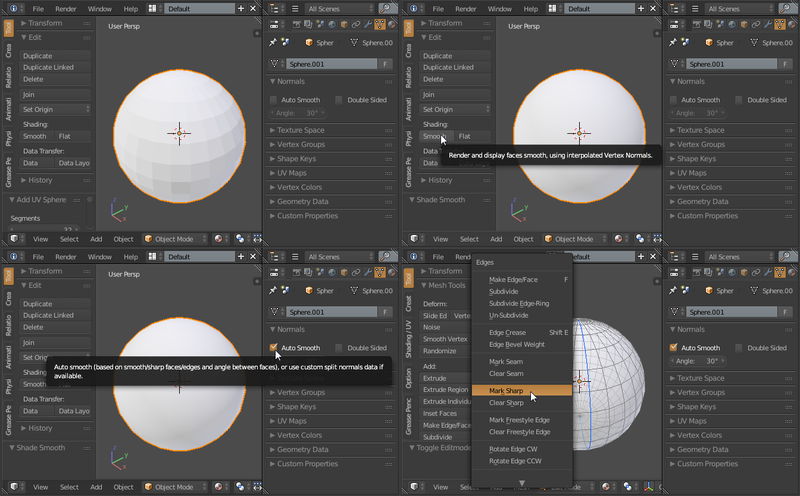 • Extra options on export: you can now automatically apply modifier stack or separate the meshes by material. The latter is a requirement for TDM, since submaterials are not supported. But in case they ever are, I've added a missing brace to enclose the submaterial block. • All export-related operations are now done on temporary clones of the objects being exported, so you can continue working on a model afterwards without triangulation getting in your way. - It appears that TDM doesn't take smoothgroups into account, all it cares about are the vertex normals. And since previously the exporter was effectively averaging the normals on all the vertices, if you wanted to have sharp edges on your mesh, your only choice was to split them before exporting. 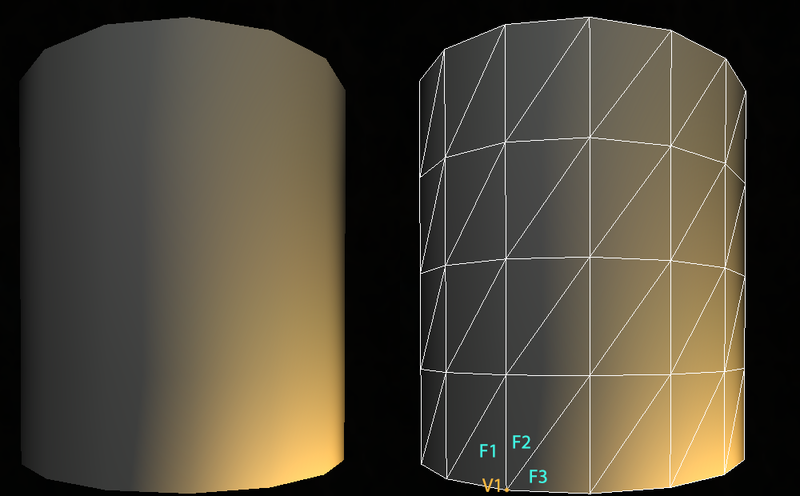 Vertex normals are now based on how the model is smoothed in Blender, so hopefully it's wysiwyg. I'm also hoping I'll get it to work both ways: have an importer get it back into Blender with no data loss. - Smoothing groups are still derived from sharp edge "islands" - meaning, unlike 3dsmax, multiple smoothgroups per face are not supported. Again, this shouldn't matter to TDM at all since they seem to be ignored, but combined with custom normals it might look wrong in other engines. - I called custom normals a "viable workflow", but don't expect miracles. 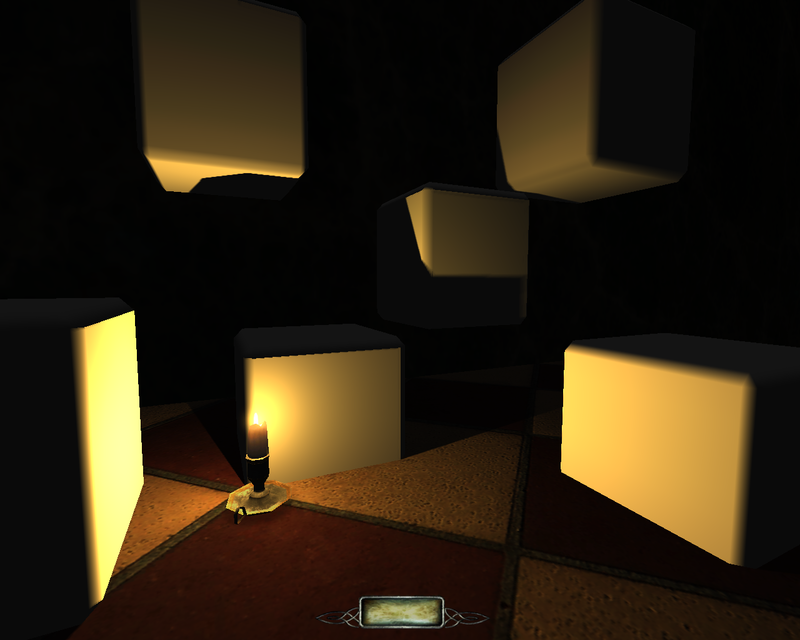 Because of the way the engine decides whether a light contributes to any particular face's shading, you get these. A sphere is almost the best case scenario compared to a 45° bevel, so if you couldn't wait to use those, it's only going to work half the time. Could work if you're careful with the lighting though. - At the moment, Blender likes overwriting your custom vert-per-face normals. In particular, during triangulation. There's no nice way around it: either you triangulate the mesh before hand-tweaking the normals, or you data-transfer them onto a triangulated mesh from a non-triangulated clone. Either way, you'll have to triple before exporting. - I didn't know a thing about Python a week ago, so it's the usual: no warranty, etc. I don't know the proper etiquette for releasing such things (and don't really care). This is based on the exporter made by Mike Campagnini and Richard Bartlett (our very own rich_is_bored). Edited by chedap, 15 July 2018 - 09:05 AM. On to the bad news. This is (most likely) caused by vertex normals being derived from face normals. In the image above, vertex V1 derives the direction of its normal by averaging the normals of faces F1, F2, F3 - leading to it being skewed towards F2 and F3. Assuming the triangulation maintains the same direction, adjacent quads compensate for this skewing on a continuous surface. This means most models will look mostly right. However, where it will become visible is at the edges, where there are no faces to balance out the smoothing, and especially whenever such edges meet a/b. I still can't claim to understand exporter script completely, but vertex and vert-per-face normals seem to actually get exported to .lwo file*. However, they don't seem to have any effect whatsoever, not in TDM, not in vanilla Doom3. And yet, in both, vertex normals from .ase files are being read and applied correctly**. 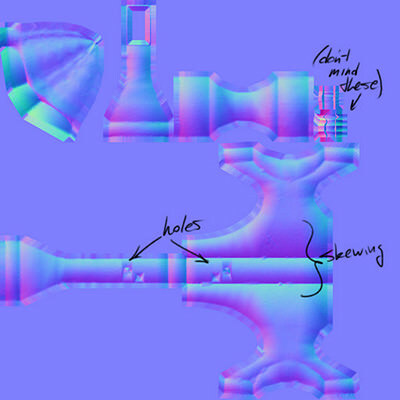 Meshes most affected by this are modular pieces that have smoothed shapes at the junctions: pipes, walls with railings, vertically-tiled columns, etc. However, EVERY mesh that has any sort of edge splits or holes is affected, just to a lesser extent. Bottom line is: while .lwo's are "good enough" once you apply the materials and light the scene, .ase seems to be the more reliable format. I'd still like to learn how the formats differ in performance impact, if at all. If it's just a console command away and not deep in the scary stuff, please let me know. * Previously, in the first post of this thread I claimed there was no visible difference between "smoothed" and "idtech-compatible" exported .lwo's. While this is true, vertex normals WILL NOT get exported to an "idtech" file at all (leading to the decrease in file size). Making it the default option was a bit hasty on my part, but, to reiterate, currently for TDM it doesn't matter. 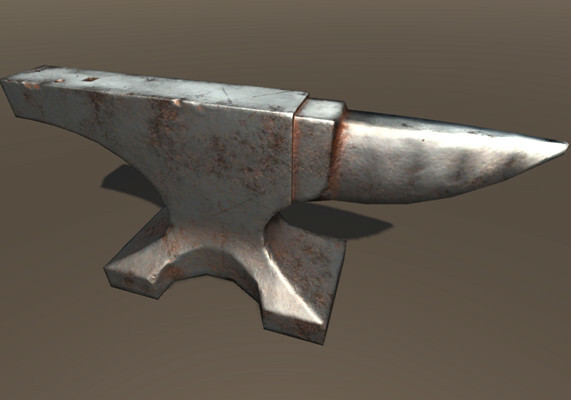 ** If I apply "renderbump" parameter to the material, the engine will weld all of the vertices together, average all of their normals (discarding the ones from the file). This will bork .ase smoothing and make it look identical to .lwo. Either way, thanks a lot for your work and the care you are putting on those normals issues. Edited by RPGista, 30 May 2018 - 10:33 PM. You made tremendous work here, no doubt about that. Bottom line is: while .lwo's are "good enough" once you apply the materials and light the scene, .ase seems to be the more reliable format. I've been working with .ase format exclusively because max doesn't support .lwo. I haven't encountered any problems with it, TDM recognizes max's smoothing groups as it should, although I'm doing my best to use just one SG and leverage unwrapped normalmaps fo better look. The downside is size of the models, as it grows expotentially with more polygons per model, but I haven't encountered any negative impact from that. First, people should have like 2 GB VRAM cards by now, and this generation of of GPUs doesn't go below 3 GB, so you should be able to use both .ase and 2k textures everywhere, without much worry. Second, .ase has very nice compression ratio in .pk4 package, even with the good old deflate method (the only one recognised by the engine). Edited by Judith, 31 May 2018 - 01:27 AM. Try editing them manually after the mesh is already working in-game: set all SGs the same where sharp edges should be, or set some differently on a completely smooth surface. From what I tried it doesn't change how it looks at all. The actual part that seems to matter is these. Max bases them on SGs, theyaren't the averaged normals, though I'm not sure they are verts-per-face either. First, people should have like 2 GB VRAM cards by now, and this generation of of GPUs doesn't go below 3 GB, so you should be able to use both .ase and 2k textures everywhere, without much worry. Second, .ase has very nice compression ratio in .pk4 package, even with the good old deflate method (the only one recognised by the engine). See, that's why I'm saying I'm curious, the fact that the archive is compressed doesn't at all mean the models in the memory are. And vice versa, the fact that .ase files are so big may also be irrelevant once the model is loaded and processed once. 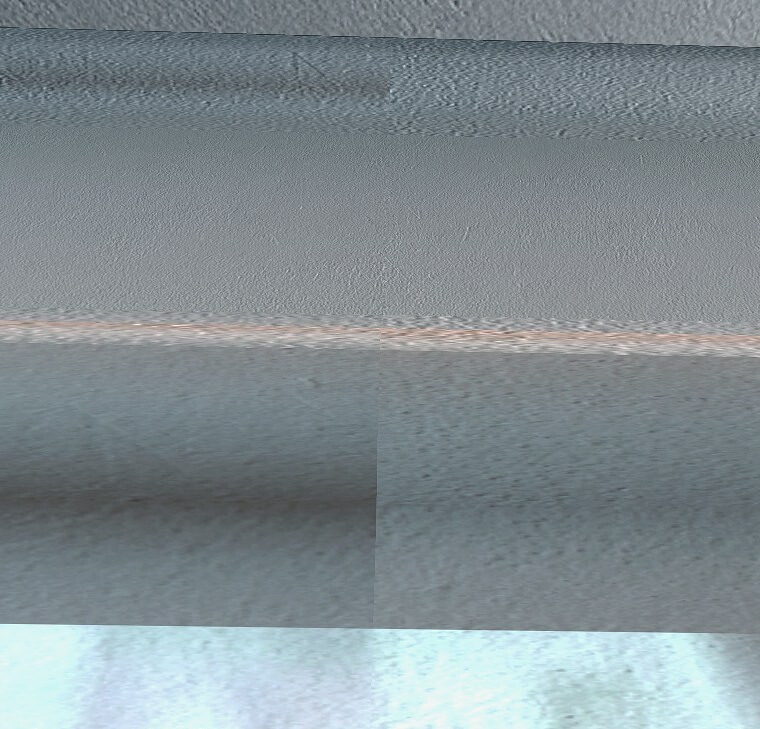 I kind of know how engines handle texture compression, but I've not a clue about models. Also 2GB seems like an overkill when TDM runs on a 512MB laptop cards. I get what you're saying, technology moves etc, but in a hypothetical case where one could choose to convert hundreds of .lwo's to .ase for slightly better shading and a 800% memory imprint, let's say it's debatable. Edited by chedap, 31 May 2018 - 02:01 AM. Yeah, I agree. In my case, I just have no choice but to use .ase. The thing with better shading is kind of nice bonus, although you're right: while I can control SGs via max EditPoly options, EditNormals modifier has no effect, whether I change normals per vertex or polygon. 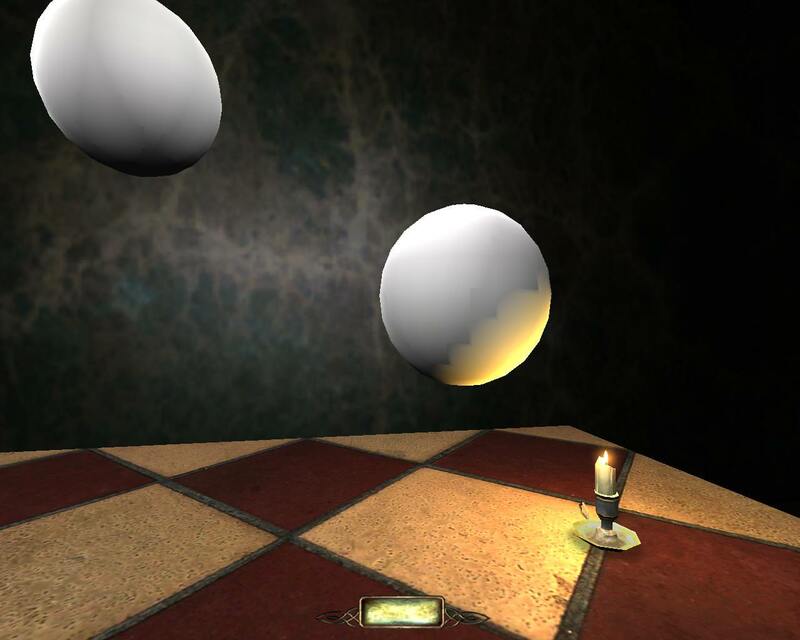 As for potential memory problems, Unreal engines (2, 3) used .ase for years, so their impact must be manageable. Especially since those engines use lightmaps, so they require even more texture memory. For now can I only suspect that TDM should handle that pretty well too. This might be a dumb question but is that edge merged or disconnected from the other Spooks? Cause that shouldn't happen if that is one (not two) edges.